This exhibition of photos was created to show some of the animals at risk of extinction as a result of illegal wildlife trade. 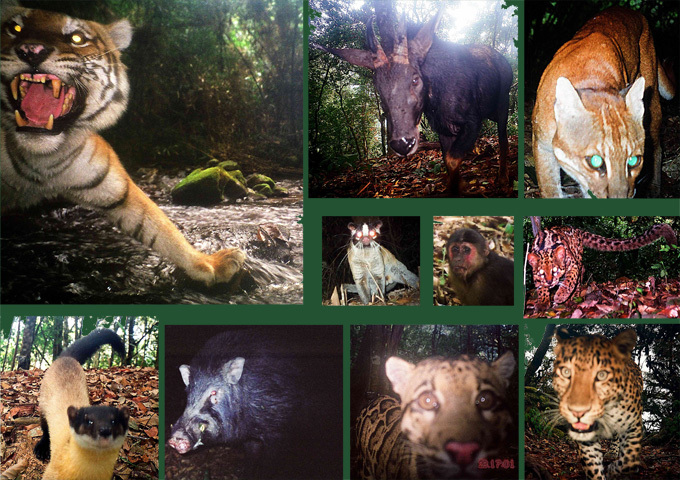 The photos were taken deep inside of two national protected areas (NPAs) in Lao PDR, the Nam Et Phou Louey and Nam Kading NPAs, with heat motion sensitive cameras called “camera traps”. It took scientists months to capture many of these animals on film. The research reveals that wildlife in Lao PDR is now rapidly declining due to over hunting and illegal trade. The national Wildlife Law divides wild animals into two major groups – ‘protected species’ and ‘managed species’. It is illegal to hunt protected species (like elephants, tigers and bears) that are naturally rare. Managed species (like pigs and deer) reproduce more frequently and can be harvested by rural villages for subsistence consumption following guidelines set by the government. The law says that all trade of wildlife and the use of guns for hunting is illegal because it threatens to eradicate many species. Many local people rely on the forests for food, medicine, and building materials. 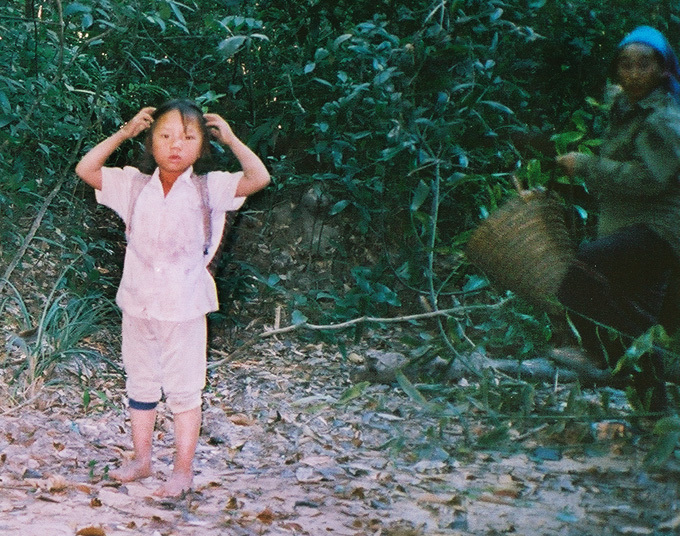 For instance, in Nam Et-Phou Louey almost 30,000 people live in and around the NPA. The livelihood of these people is threatened by commercial hunting. Communities around NPAs must contribute to looking after the plants and animals in their village areas to help secure their own future. Already some village areas around Nam Kading National Protected Area are managed this way. Increasingly this is how protected areas and the communities which rely on them will be safeguarded and this is the approach supported by the government of Lao. If you illegally buy wildlife in markets and restaurants, you are contributing to the extinction of wild animals in Lao and are contributing to poverty of rural communities that depend on managed species for their subsistence. What can you do to support poverty eradication and wildlife conservation in Lao PDR? Please follow the law: do not buy or sell wildlife!